It's just too hot to do anything. I mean I love summer..but this heat is insane. Sangria is a great cocktail to beat the heat and takes minutes to make. 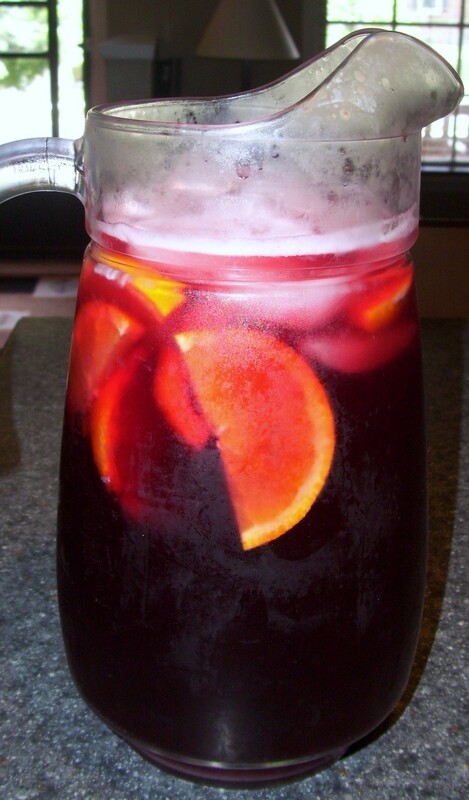 It is a Spanish mix of red wine and fruit. You can vary the fruit you have to what ever you have on hand. Good choices are oranges, lemons, limes, apples, melons, berries, mangoes , peaches or grapes. In a large pitcher combine in order and stir well. Superb Piece of Website, you have here. I am so lucky to run into your blog by way of google queries. I just bookmarked to read all of your posts.